The name says it all! Imagine the delicious taste of sweet, velvety chocolate. Then let your mind wander to the savory, crunchy taste of bacon. Combine them and you've entered hog heaven! This item is a sweet and savory marriage of flavors, taking delicious bacon and covering it in rich milk chocolate! It's truly an awesome creation that every fan of sweet and savory will love. Get your own before we eat them all. These chocolate-covered bacon strips really are that good! 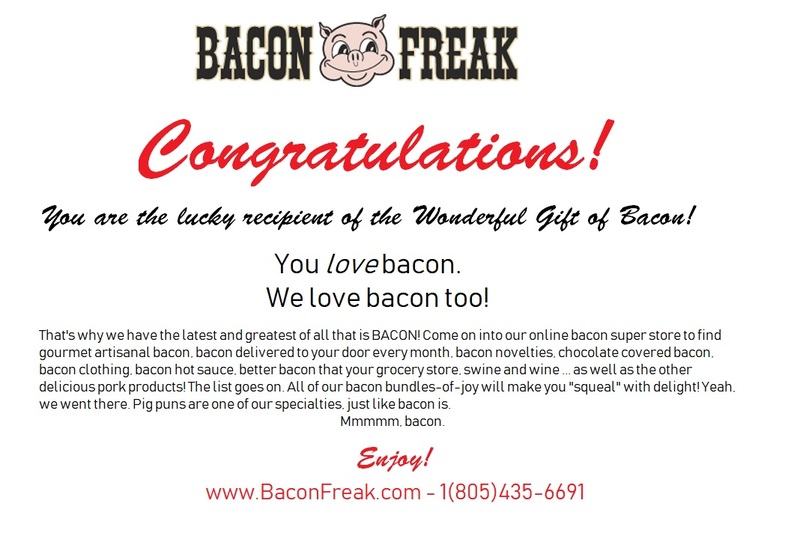 Each Package Contains 3 oz of Chocolate Bacon, delivered to your door.